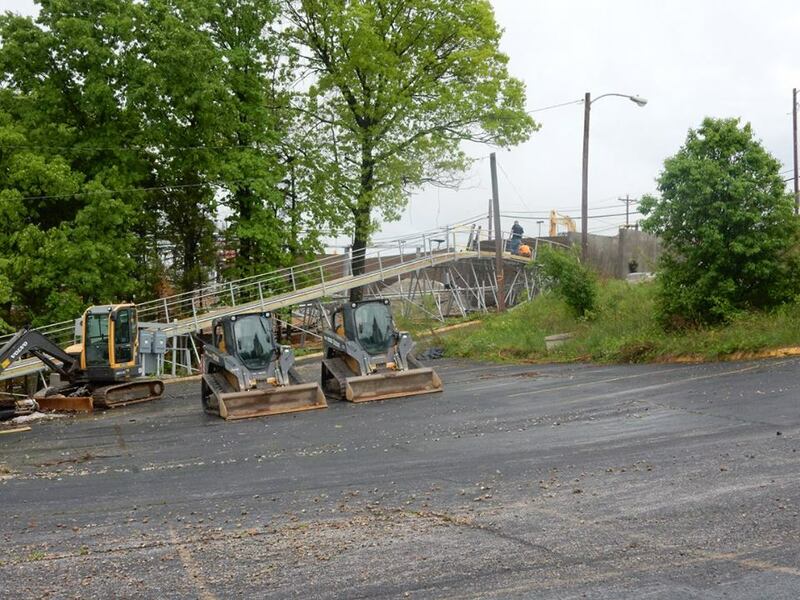 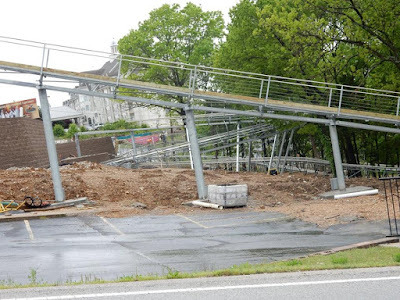 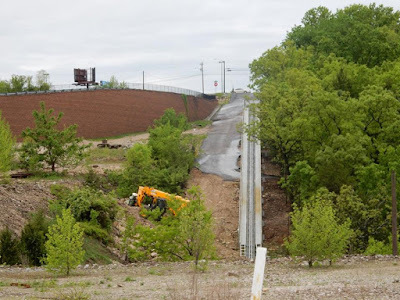 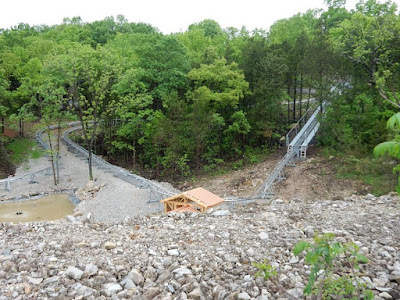 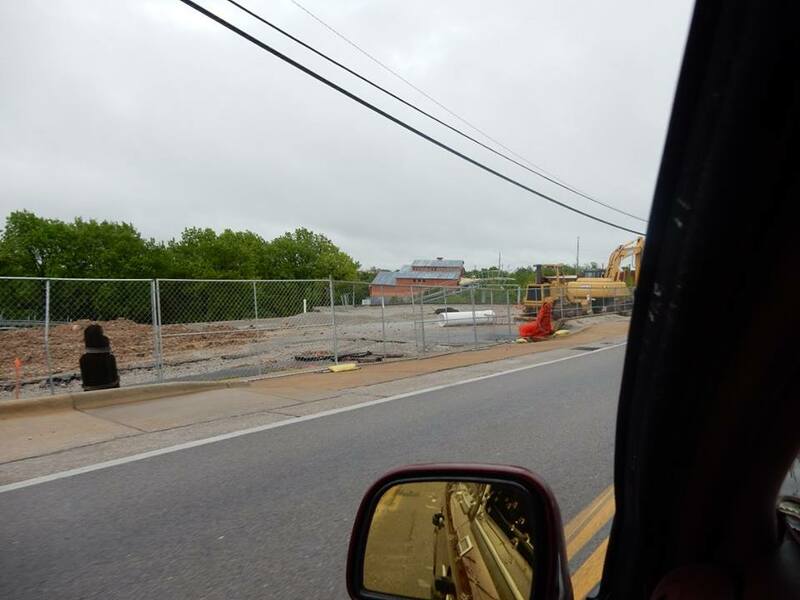 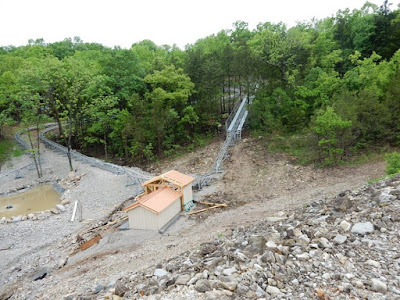 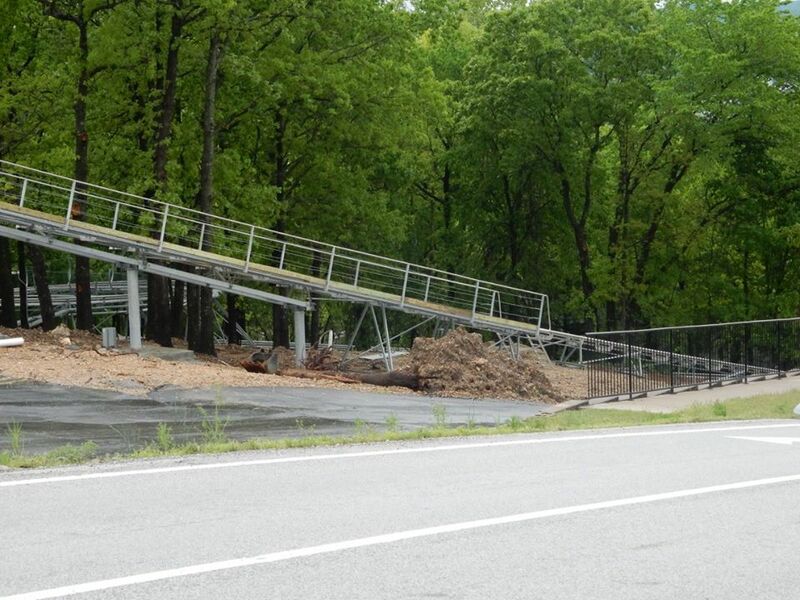 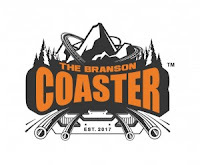 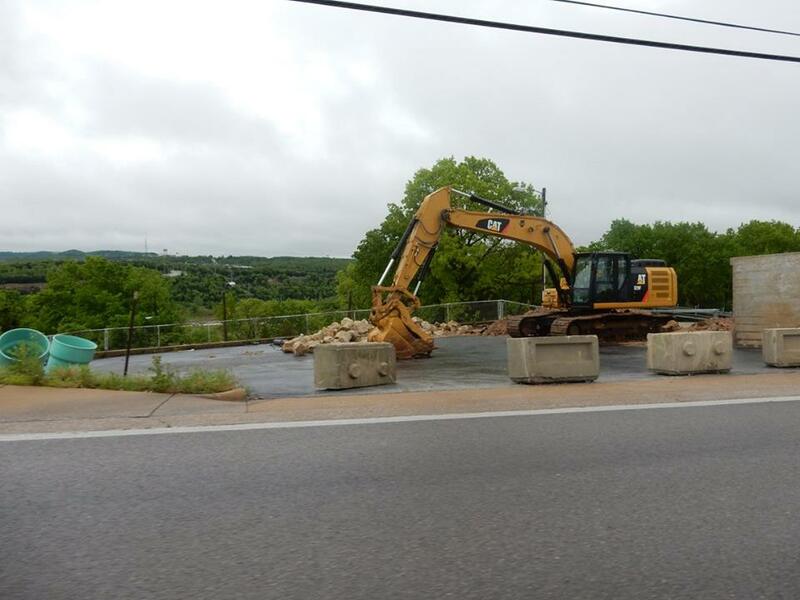 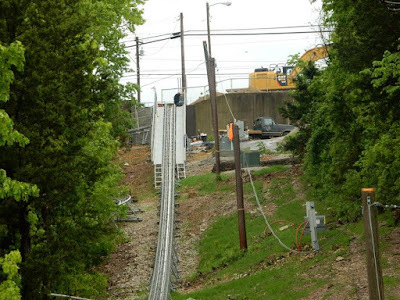 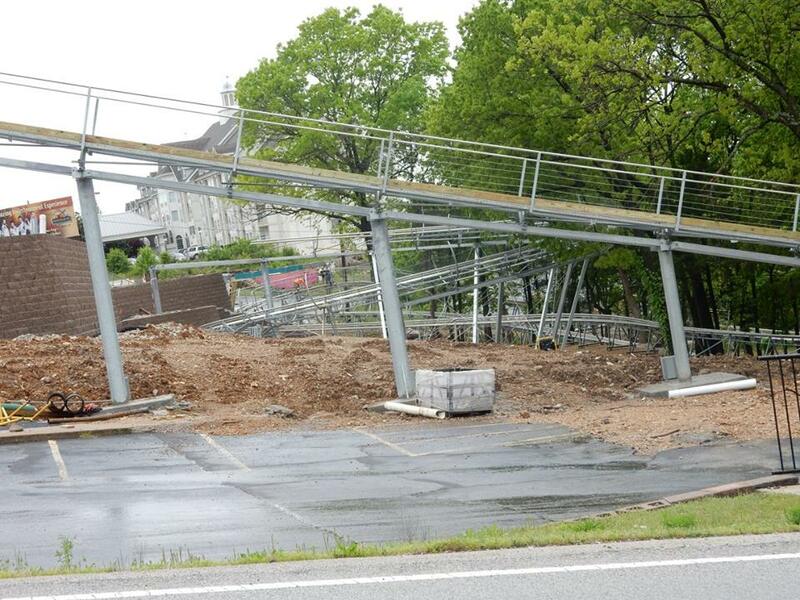 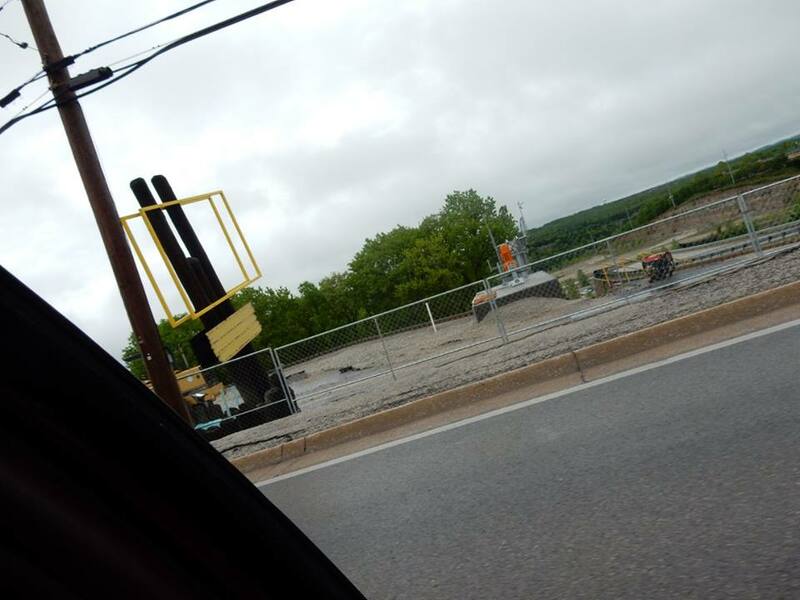 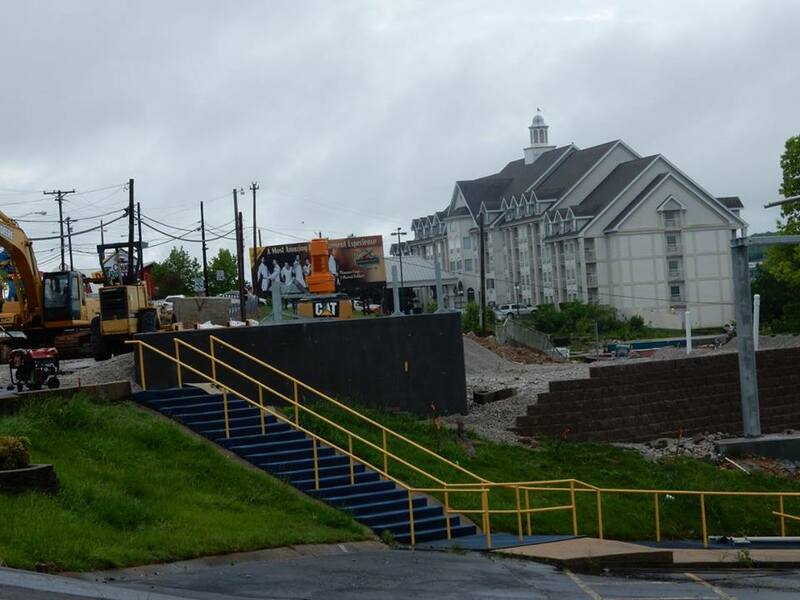 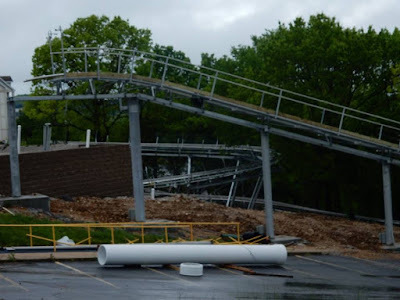 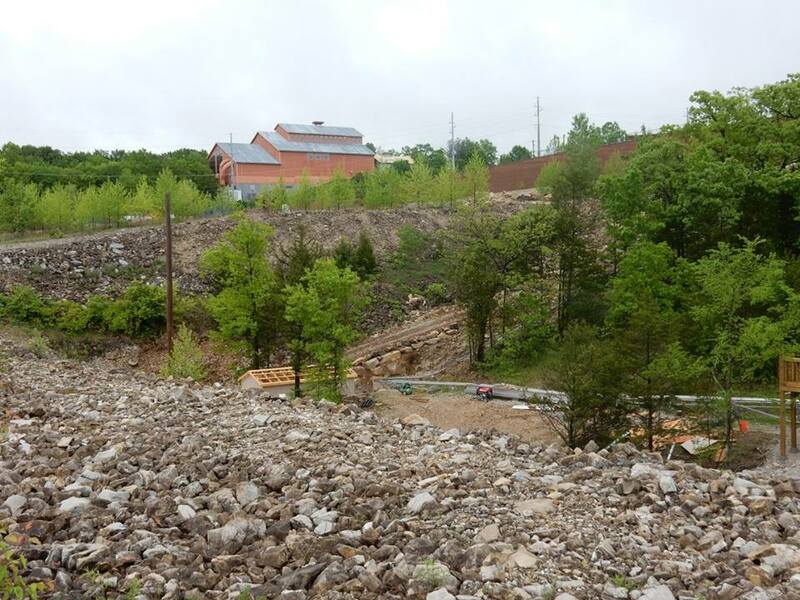 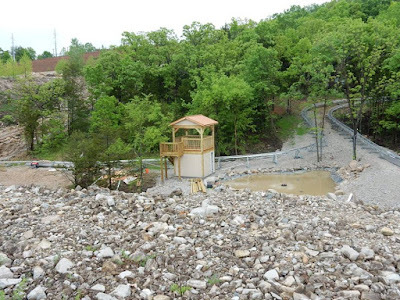 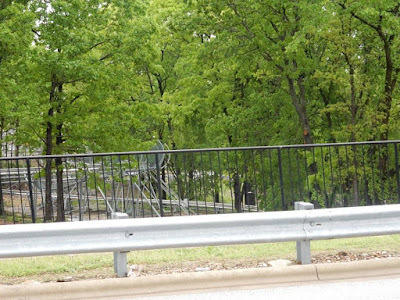 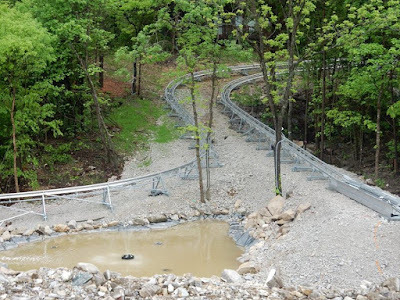 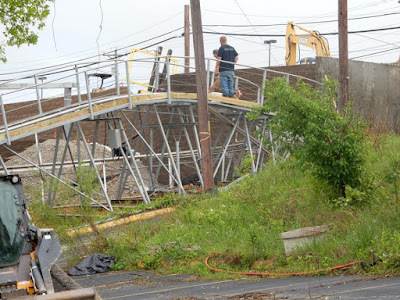 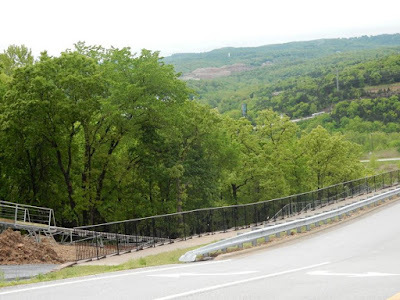 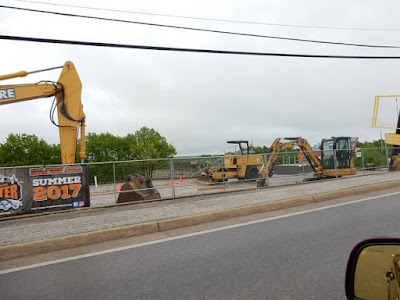 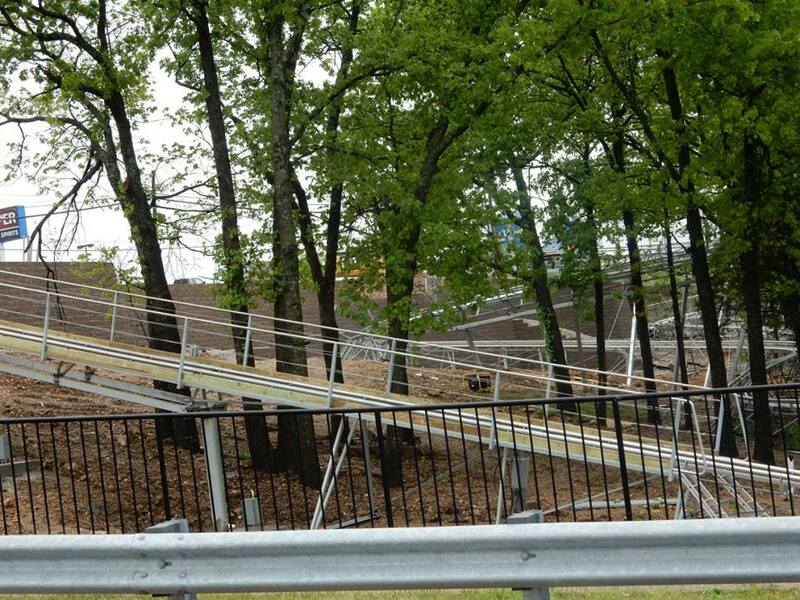 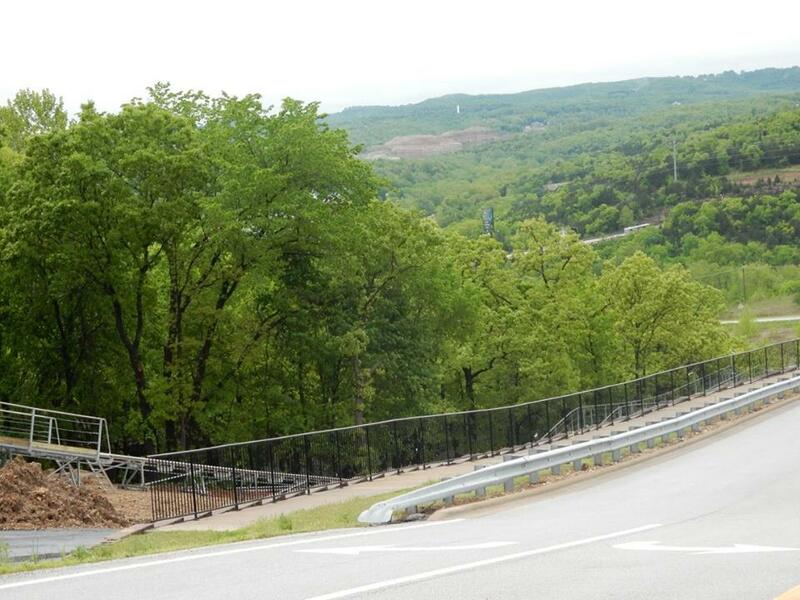 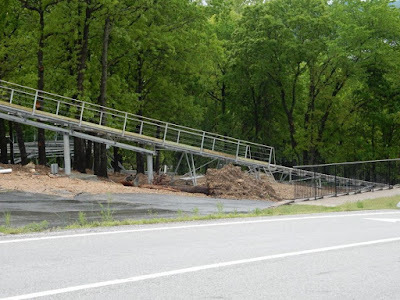 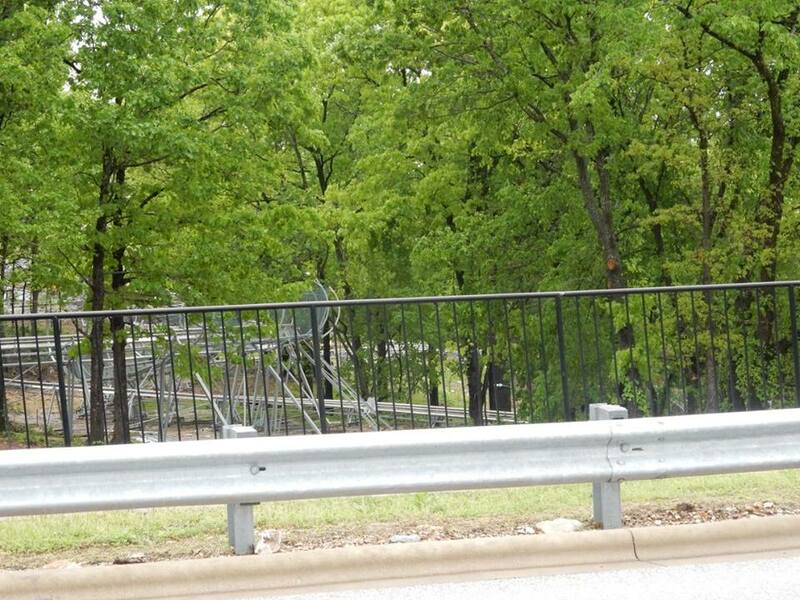 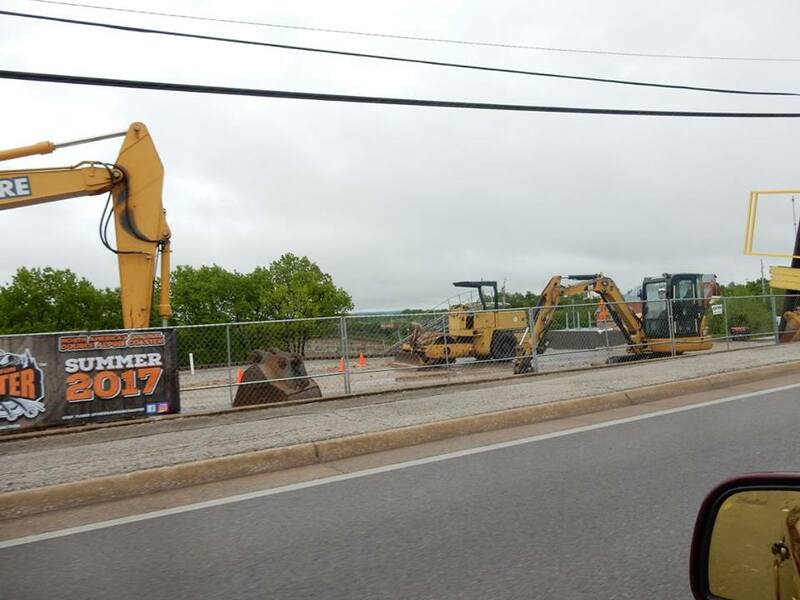 Thanks to sandunerider we have new construction photos of the Branson Coaster. This is the final lift hill of the layout. 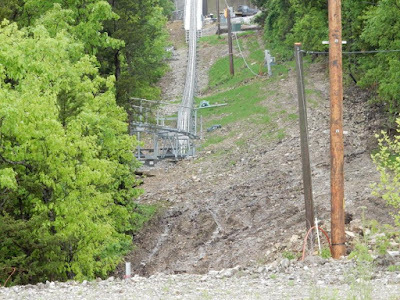 This is the main control booth for the lifts at the bottom of the hill. This is the bottom of the lift in the middle of the course. The lift hill in the middle of the course. 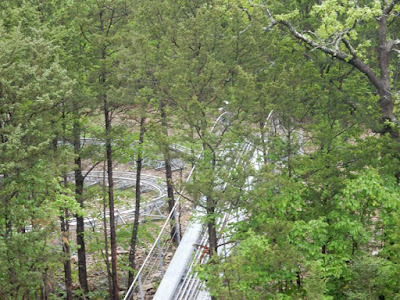 The top of the lift hill in the middle of the course. Here is the "split" where the tracks head to the different lift hills at the bottom of the hill. 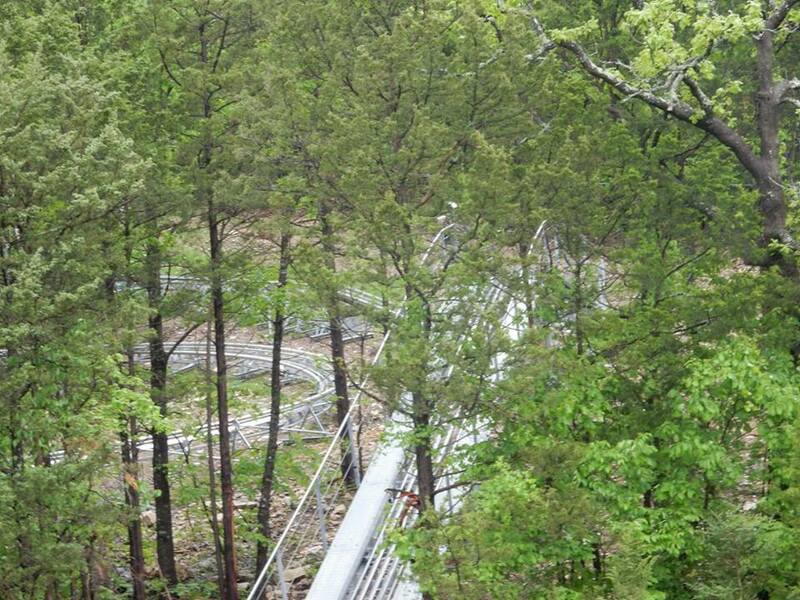 This is the helix that occurs right out of the station. 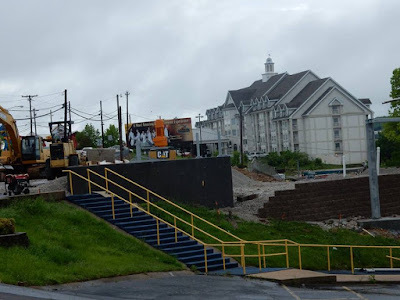 Still a lot of work to do on the station area. The new coaster is scheduled to open this summer.